The interior panelling was developed starting from GIFAtec®, a material produced by Knauf Integral, which was specially modified for this project. It is an extremely solid and non-flammable material with a high level of white. In total 10,287 parts form the white skin that covers about 6.000 m². 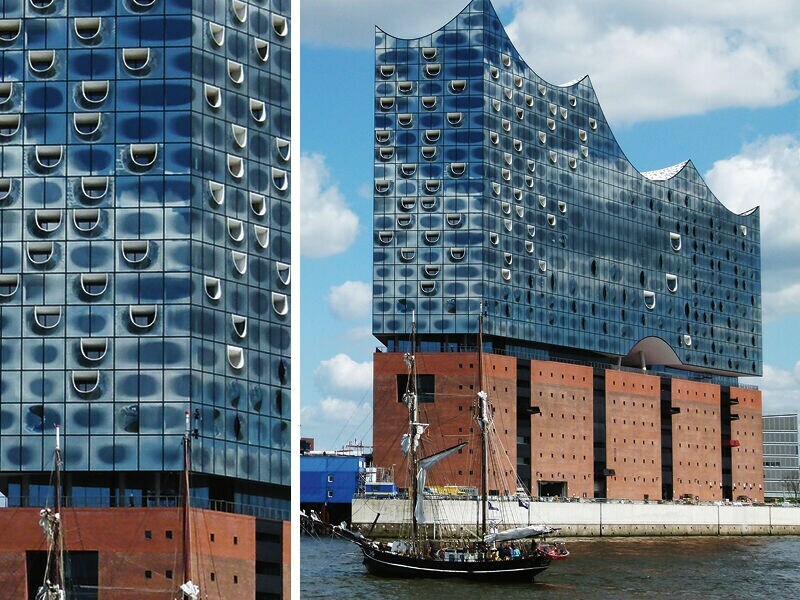 To create the three dimensional surfaces Hasenkopf, commissioned by the specialist in renovations Peukert GmbH, had to first of all carry out costly 3D calculations and then convert the CAD data in AV, in programs suitable for the CNC. Subsequently macros were created to machine both sides of the glued plaster fibre panels. The routing depth of the surface structure, consisting of almost 1,000,000 irregular cavities, ranged from 5 mm to 90 mm. 30,520 CNC programs with 352,000,000 characters were needed for the almost 1.5 million linear metres of routing. Over 1000 diamond cutters were used in 5000 sharpening cycles. 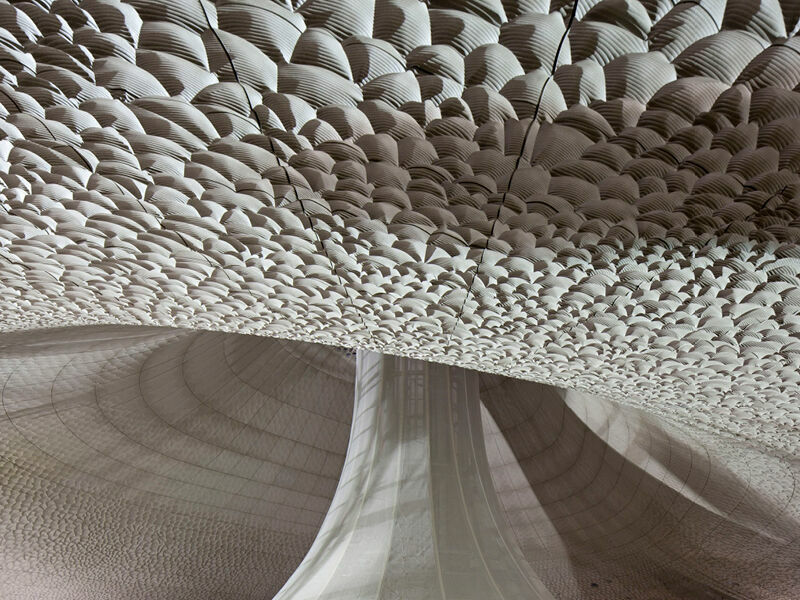 Another particularly demanding aspect was the extremely high density of the concrete reinforced with plaster fibre, with a maximum thickness of the panels being machined of 180 mm (“Chronos” is able to machine pieces with a height up to 800 mm). 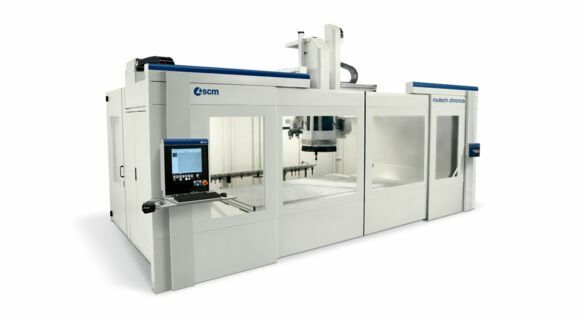 Hasenkopf purchased three “Chronos” CNC machining centres especially for this project. The five controlled axes were a determining factor in this choice. As well as the extreme stability of the gantry type structure and the wide work areas enclosed in a limited space. Without forgetting the excellent accessibility, which was particularly useful during loading. This allowed for a maximised feed speed with minimum tolerances: an essential requirement for the aforementioned effectiveness of this extraordinary interior panelling. The individual work phases were documented and controlled with utmost precision by Hasenkopf, in order to produce specific quality reports. There were less than 20 individual faulty parts, in a machining process that included over 10,000 complex parts with different surface structures! In order to tell the whole story though we must also mention the Swiss architects Herzog & de Meuron and the Japanese acoustician Yasuhisa Toyota, who thanks to the interaction of solid geometry, materials and surface structure, were able to ensure excellent sound in every corner of the hall.